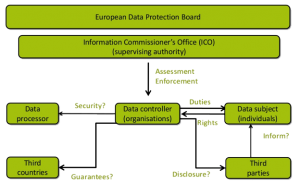 GDPR Implementation and Readiness - Pyramid Cyber Security & Forensic Pvt. Ltd.
General Data Protection Regulation (GDPR) as a new law, effective May 25, 2018, requires some significant changes in the way Mobile Apps, Websites operate currently. Core of the law requires ‘Forget Me’ for end users and this implies relevant user interface changes as well as data encryption in transit and archiving. Apps using AI or machine learning also need tweaks in the way data can be processed or presented for end users opting to ‘Restrict Processing My Data’.